(CNN) - Deputy Attorney General Rod Rosenstein called Russian interference in the 2016 US election "one tree in a growing forest" of malign cyber activity when he unveiled the Justice Department's Cyber-Digital Task Force report in his speech at the Aspen Security Forum on Thursday in Colorado. Rosenstein made no mention in the speech of President Donald Trump's meeting Monday with Russian President Vladimir Putin and his subsequent flip-flopping on Russia's involvement in the 2016 election, but he did take aim at Russia's influence and strategies to protect against "malign foreign influence operations" and other cyber threats. The Russian effort to influence the 2016 presidential election is "just one tree in a growing forest," Rosenstein said. "Russian intelligence officers did not stumble onto the ideas of hacking American computers and posting misleading messages because they had a free afternoon," he added. "It is what they do every day." He warned of a continued threat and the report highlighted five types of operations the government must counter: cyberattacks on election infrastructure such as voter registration databases and voting machines; targeted attacks on political organizations, campaigns and public officials; covert operations to help or hurt campaigns; the spread of disinformation on social media; and the use of lobbyists, foreign media and other organizations to influence lawmakers and the public. 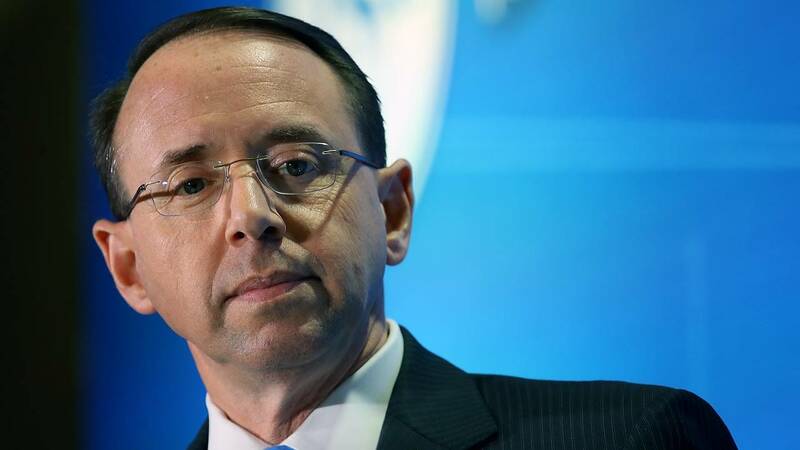 "Russia's intelligence services conducted cyber operations against both major US political parties in 2016, and the recent indictment of Russian intelligence officers alleges a systematic effort to leak stolen campaign information," Rosenstein said. "Do not underestimate the long arm of American law -- or the persistence of American law enforcement," Rosenstein said, pausing for applause. "People who thought they were safe under the protection of foreign governments when they committed crimes against America sometimes later find themselves in federal prisons." "Foreign governments should not be secret participants, covertly spreading propaganda and fanning the flames of division," Rosenstein said.